Last month was the 19-year anniversary of the death of my greatest conservation heroes. He fought for change – in the purpose of zoos, the role of scientists, the preservation of species and their habitats, and ultimately the attitude of people towards nature. But does public opinion still uphold such beliefs, or is support of conservation slipping? And more importantly – particularly given recent events in Australia – will governments still fight to protect our environment? Gerald Durrell was born in 1925 and quickly developed an obsession with the natural world. His first word was “zoo” and as a toddler he demanded to be taken on daily trips to the local menagerie. The primary purpose of zoos in those days was entertainment, with most establishments aiming to give the public a close-up view of charismatic fauna like lions, elephants and monkeys. Unfortunately, the conditions these animals were living in were close to squalor, with more emphasis being placed on a good view than animal welfare. 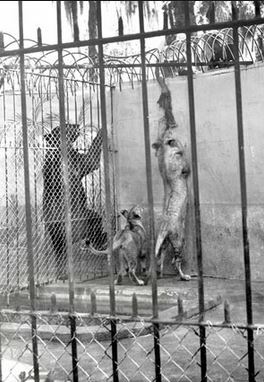 Furthermore, due to their poor conditions, few of these captive animals successfully bred and so upon their (usually early) deaths they were replaced from wild populations. This animal collecting, combined with hunting, habitat destruction, and an increased distribution of human activities, caused many wild populations to dramatically decline. But to Gerald Durrell, the purpose of a zoo was more important than entertainment – it was an opportunity to educate the public, contribute to scientific knowledge, and create captive breeding stocks of threatened species. His was not a zoo full of lions and tigers – it acted as a safe haven for little-regarded, yet critically endangered, species such as the Madagascan aye-aye, Mauritius kestrel, and Haitian giant gulliwasp lizard. Thanks to his captive breeding and re-introduction programs, Durrell was able to regenerate wild populations of these species and many more. He went on to become a world-renowned naturalist, conservationist, author and television presenter. But his living legacy exists in the Durrell Wildlife Conservation Trust, which promotes the captive breeding and re-introduction of threatened species as well as protection of their natural habitats. The Trust also assists with the education and training of local people in communities home to these endangered species, ensuring that they have the means to protect their native fauna and flora well into the future. The creation of the Trust coincided with a time when public feeling regarding the natural environment was changing. The 19th Century had been a time of increasing interest in nature and scientific thinking, with several animal welfare groups being founded towards the end of the 1800s in addition to governmental departments for forestry and land management. The idea was slowly rising that humans had a duty to protect natural resources for future generations. 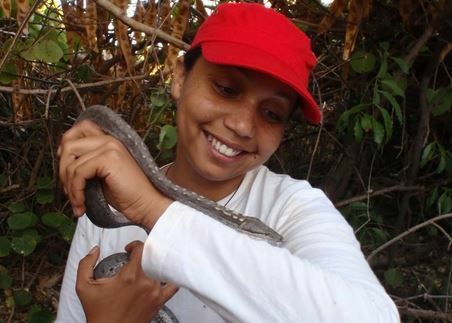 The Durrell Trust has already trained up 3,350 conservationists from 135 countries. By the 1900s, efforts arose targeting individual species for protection leading to a global awareness of conservation biology. The decline of wild populations was being widely noted, leading the public to rise up and demand protection for wild animal populations. Popular examples include protests to ban whaling, save mountain gorillas, and stop the hunting of big cats. Not only was the public taking an interest in wildlife management, but in many cases they were actively protesting and fighting for the legal protection of threatened species. Soon the idea began to spread that to protect a species you must also protect its habitat. The work of the likes of Gerald Durrell, in establishing successful captive breeding programs, was pointless if there was nowhere to re-introduce the animals to. And so the focus changed to creating and maintaining national parks, sanctuary zones, and other protected areas to guard both animals and their habitats. As this need for “green space” increased and conflicted with “human space”, many groups of people began changing their habits to reduce impact on the environment. The idea of “reduce, reuse, recycle” became widely advertised, along with eco-versions of many products. The pressure was on society and companies to prove how green they could be. Yet, at the same time, while many people continue to “do their bit” and minimise their environmental impact, others have grown complacent. If so much is already being done, does it really matter if they slack off? With so many protected forests, can’t they afford to take a bit more? With so many increasing animal populations, can’t they just hunt or fish a bit more? Everyone has done so much for the environment already, isn’t it okay to mold it to human-uses? The last six months has seen a disturbing increase in such thinking in Australia, to the point that some are wondering whether the current government is the most hostile to the nation’s environment in history. In Western Australia, endangered sharks are being culled. In Queensland, the world-famous Great Barrier Reef is under threat from the dumping of dredge spoil. In Tasmania, World Heritage listed rainforest is to be opened up to commercial logging. Around Australia, the marine reserve network – which, when announced, was to be the biggest in the world – has been scrapped. The shark cull involves setting baited-drum lines along the WA coast near popular beaches, with the aim of catching great white, tiger and bull sharks over 3m long. The lines are checked regularly, and any sharks above the size limit are shot; smaller sharks are released. 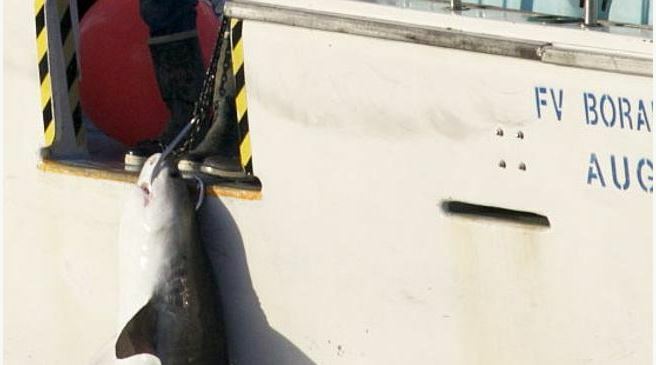 Unfortunately, of the 66 sharks caught in drum-lines since 1st Feb, 50 have been undersized. Of these, 40 were released – but due to injuries sustained from bait hooks, it is uncertain how many released sharks would actually survive. There is also the risk that drum-lines will catch other animals, such as dolphins, turtles and non-target shark species. Worst of all is the fact that other studies indicate that drum-lines will not reduce shark attack rates, and suggest that there are various other methods better suited to reducing the risk of human-shark interactions. With a range of other (research-supported) options available, it is not necessary to jump to the “shoot-it-in-the-head” method. “Before you can control any wild animal, you have to know something about its basic biology; a simple policy of slaughter – quite apart from its threat to the survival of that particular species – is liable to do untold damage to the whole ecological structure of the country. An unbiological approach in different parts of the world to problems of this sort have, in the past, proved disastrous. So if an animal is becoming a pest you must set out to learn everything you can about it; it is a case of ‘knowing thine enemy‘” says Gerald Durrell decades ago. But it looks like these words are no less needed or true today. On the other side of the country, the Great Barrier Reef Marine Park Authority has approved plans to dump 3 million cubic meters of dredge spoil within the marine park area to allow expansion of a coal-export port. Such sediment from dredging has been previously shown to damage coral and seagrasses by smothering them and causing exposure to poisons and elevated nutrients. This comes shortly after the new government’s decision to suspend Australia’s Marine Reserve Network and change management plans to allow access to these marine areas by recreational fishers. Meanwhile, back on land, the Federal Government has made a bid to open Tasmania’s World Heritage forests to logging. After decades of fierce debate between forestry and conservation groups, an additional 170,000 hectares became protected as part of a “peace deal”. The logging bid would see over half of this opened for commercial use, with the government arguing that the area in question is already degraded due to previous logging. Yet World Heritage experts claim 90% of it is pristine forest. Even the Tasmanian timber industry opposes this move to de-list the forest. I wonder if that would still hold true today? The need for ongoing conservation is obvious. But is the public willing to rise up in aid of these issues? Thankfully, the overwhelming answer appears to be ‘yes’. 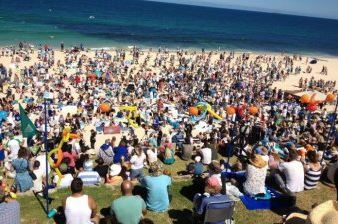 Public protests and social media petitions against the WA shark cull have seen over 6,000 people gather on one Perth beach alone. Support has also sprung up in the form of additional protests around the world, with the public of New Zealand, South Africa, UK, USA, Spain, and so many others uniting against the cull. Online petitions against damaging our Heritage-Listed rainforests and coral reefs are also spreading through the wonders of social media, as are messages from groups fighting for the re-instatement of Australian marine parks. As long as we continue to think about the world around us and voice our concerns, we have the chance to make a difference. But the remaining question is: will anyone in authority listen? This entry was posted in Citizen Science, Personal on February 21, 2014 by Sarah Marley.